Two coats of Sally Hansen Hard As Nails XtremeWear Nail Color in Babe Blue. Periwinkle Blue Creme. I live for baby blue nail colors year-round; so I had to scoop this one up when I spotted it at Target. Let me just say: best. decision. ever. 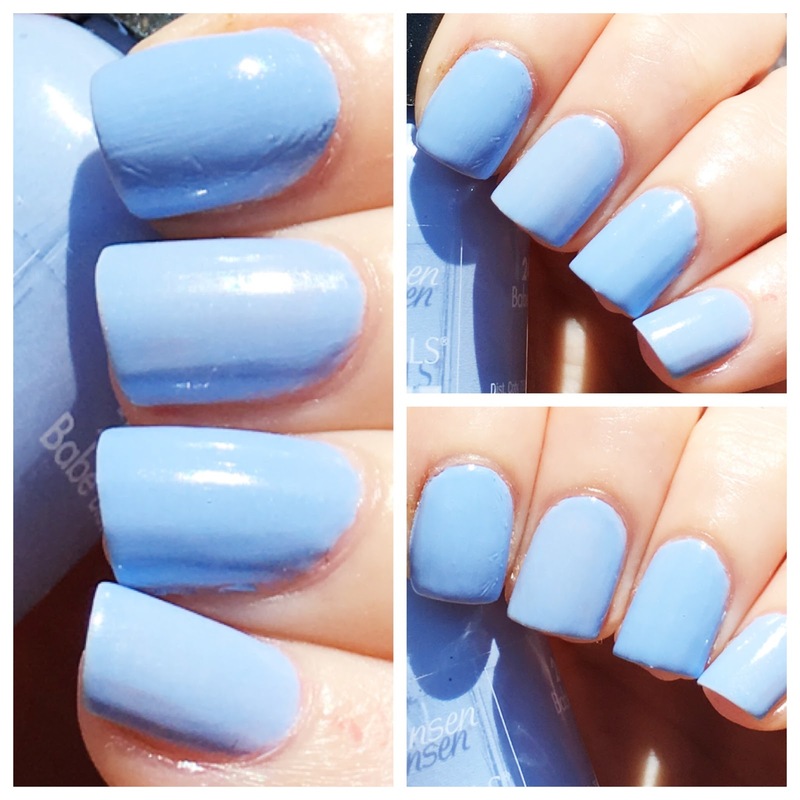 Babes, Babe Blue blows all other baby blue polishes out of the water! The periwinkle undertones give it a unique bit of extra dimension that is so pretty - especially for summer! Formula was flawless too - two easy coats and you're good to go! So chic! Love this shade! Sally's creamy formulas are always to the rescue for me. Cool review! Lovely! I like Sally Hansen's GEL SHINE for a top coat, too. The blue shade is perfect! !